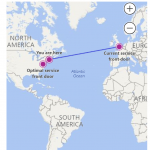 Real-time visibility for Microsoft Teams and Skype for Business call quality —CloudReady now provides the only tool capable of gathering end-to-end, synthetic call quality metrics in real-time, leveraging MS Teams or Skype for Business clients, emulating actual multi-party video conferences with integrated audio and video measurements. Perfect for network assessments and continuous service assurance, only Exoprise delivers this level of visibility to help IT improve quality and adoption of these services. 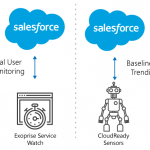 Service Watch Real User Monitoring (RUM) for Office 365 —CloudReady users already benefit from visibility into Exoprise’s crowd-powered monitoring data, crowd sourced from other subscribers around the world. With the addition of Service Watch, this visibility expands to cover users and applications wherever they are. Integrated Application Usage & Activity Monitoring enables CloudReady users to correlate adoption with availability and performance data. For the first time, all a business’s KPI’s for performance, availability, and application usage can be viewed and correlated within a single Office 365 operations view. Microsoft Ignite 2018 Attendees that visit the Exoprise Booth #2006 during the show are eligible to enter a twice daily raffle for Azulle Byte 3 Mini PC with subscriptions to Exoprise CloudReady. 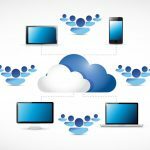 Read more about why a Mini PC running CloudReady can enable perfect end-to-end visibility into an Enterprise’s Office 365 and Cloud/SaaS environment. Exoprise empowers IT teams with solutions that enable effective adoption and management of mission-critical, cloud-based applications and services with its CloudReady Monitor solution. CloudReady provides real-time performance visibility from behind the firewall to the cloud and back. By leveraging network path diagnostics, real user experience metrics, actual app usage data, and crowd sourced data analytics, organizations now have the visibility, speed, and agility to easily assure the best possible cloud service performance. Exoprise helps customers get to the cloud faster and ensures success once they are there.